RapcoHorizon offers a wide variety of wall plates to meet your specific requirements. Standard plates are crafted from stainless steel. Black and Clear brushed anodized 1/8 inch aluminum, and black powdercoated stainless steel are also available. 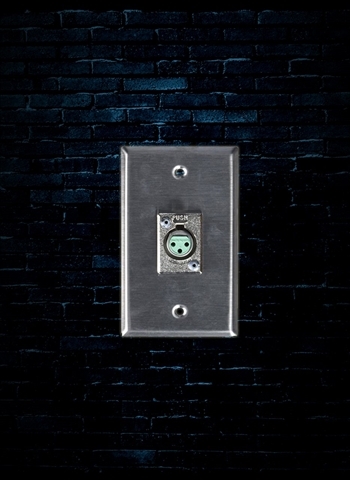 Single gang wall plate size is 2 3/4"(w) x 4 1/2"(h). Call your RHC rep if you require larger plates or combinations that may not be listed here.